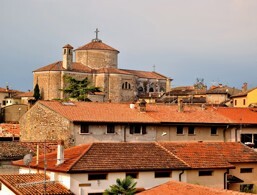 Holidays in Pozzolengo ↔ Discover Lake Garda! 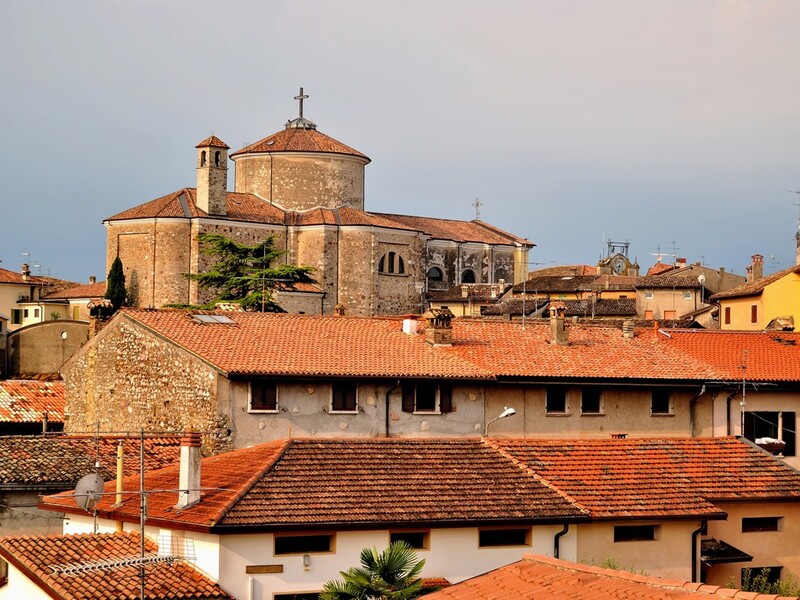 The historic town of Mincio is ideal for cyclists, foodies and those seeking peace. Pozzolengo is a village of 3,000 people, located south of Lake Garda in the middle of the impressive Moraine hills along the Mincio River. The village was founded in the 9th century, so it has a long and eventful history. Today, castles, churches and urban architecture testify to its significance. From Pozzolengo you can reach the south shore of Lake Garda after a short drive but also enjoy the seclusion away from the large tourist crowds. Cyclists find not only deserted paths on their tours through the Parco Mincio, but also encounter numerous sights. 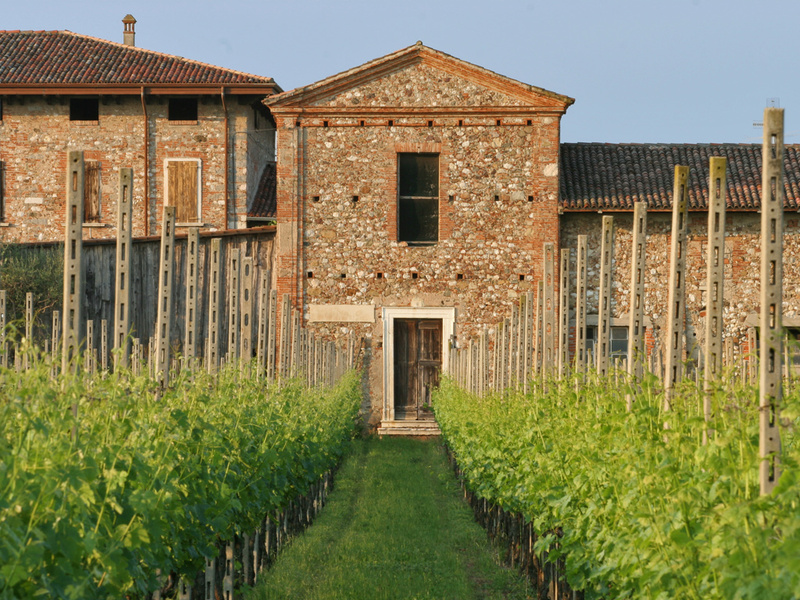 Gourmets will feel at home here with the many small wineries and trattorias. The typical regional cuisine of Lake Garda prevails, and you can experience unforgettable moments of dining pleasure accompanied by its delicious wine. The Castle of Pozzolengo was built in the 13th century. 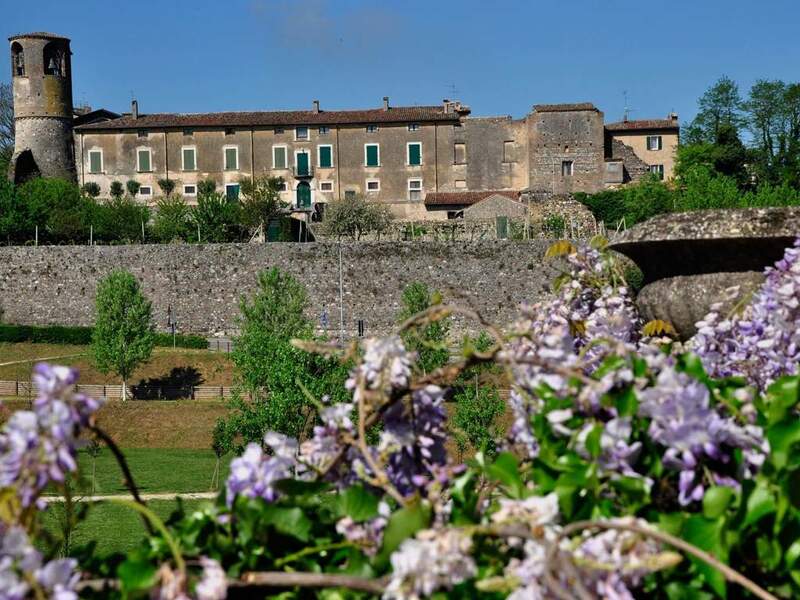 The Castle of Pozzolengo is worth a visit. In the Castel of Pozzolengo there is a worth-seeing fresco. 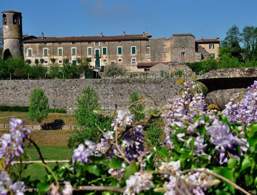 The Castle of Pozzolengo dates back to the 13th century. 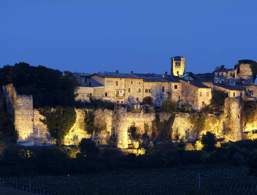 The Castle of Pozzolengo is located on a small hill. 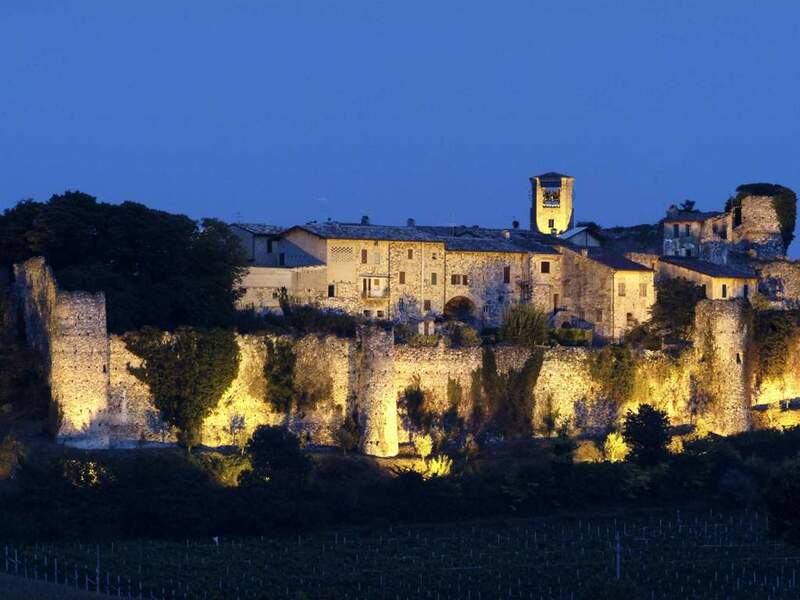 The castle was built in the 13th century, has a trapezoidal layout and includes some medieval housing estates. There are numerous cylindrical towers and a medieval fresco depicting Christ together with the evangelists Mark and John. The church was built in 1510 and expanded in 1740. The result is an impressive building with 36 cylindrical, finely marbled columns on stone pedestals and Corinthian capitals. The church also contains numerous valuable works of art, including paintings by Brusasorci, Andrea Celesti, Gabriele Rettondini and Padre Andrea Pozzo. One of the most beautiful palaces of Pozzolengo is the Palazzo Gelmetti, built around 1800 and since the beginning of the 20th century also the town hall. The interior of the palace is richly decorated with frescoes. The Villa Albertini, on the other hand, is an imposing 19th-century palace, located in the heart of the village, with a five-arches arcade and halls decorated with stucco and frescoes. 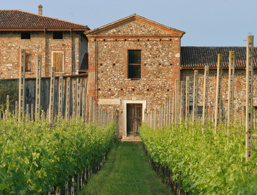 The accommodations at Pozzolengo were rated 3.7 out of 5 stars by 9 users.